Those of us who were (little) early to the Internet party would find the current forwarding and fake news culture on Whatsapp / Facebook similar to what ranting & flaming on newsgroups (e-groups) used to be in the early 2000s. However, newsgroups, because their access was to a limited few, were also places where ideas were born, partnerships formed & organisations were created. But I find Whatsapp (or other forms of messaging apps like Discord or Telegram) not being so. One probable reason for this, I feel, is the lack of long-form prose which email as a medium supported and which messaging as a medium shuns. Long form writing forces you to think deeper, engage in self-correction between various coordinated (or uncoordinated) parts of your own thinking and also help the reader absorb the context and message both. To be sure, the long form thinking was not mandatory in an email, and so, there was reactionism, flaming and shaming on newsgroups as well, but that was also accompanied on the side by deep thinking and logical reasoning. Certain people or certain e-groups built a culture of not reacting by moderation which was a feature in these e-group systems. 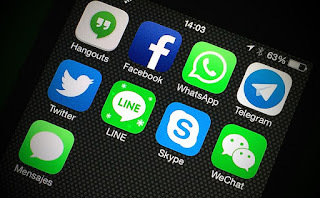 Messaging apps of today, on the other hand, do not support any such features, you can't moderate even if you wanted to, the interface does not encourage writing or reading the long-form and it stresses reacting, sharing or instant response rather than careful, well thought and calibrated response. Just to take a measure, how many of you reading this long-form post of mine have had the patience to reach this point of this text. Instead, if I would have sent this as an email, you would have. An ex-Facebook exec, Chamath Palihapitiya, felt guilty of creating a time-wasting monster in Facebook. Mark Zuckerberg also feels guilty at times of fake news, and fake news I argue is not a phenomenon of its own, but rather its spread is a result of this instant reaction that messaging and Social Media apps encourage. Its high time technology companies realised that their design decisions can't just be slaves to what 'users want' or what will make the platform more 'viral'. Facebook is viral enough, WhatsApp is ubiquitous enough. They need to now design for the more conscious audience or to improve the conscience of and thinking abilities of its audience. I hope Facebook and Whatsapp teams are paying attention to this. I had first posted this spiel on my Facebook wall and instructed people who read till the end to click the 'Love' icon and those who stopped after the first paragraph (which is previewed on their Fb timeline) to click the 'Sad' sign. The quick one day survey got 10 reactions - 6 loves, 4 Likes but no 'Sad' reactions. Mostly those who hit the like, just browsed past the first few lines and hit the 'Like' without even referring to the instructions - which all the more illustrates that we really don't pay 'attention' to the content of Social Media posts and react based on very flimsy reading of the content. Personalization is against Privacy - but is it a threat to mankind's existence? The Economist argues in this article how online services which provide for personalised services are breaching some age-old notions of privacy. 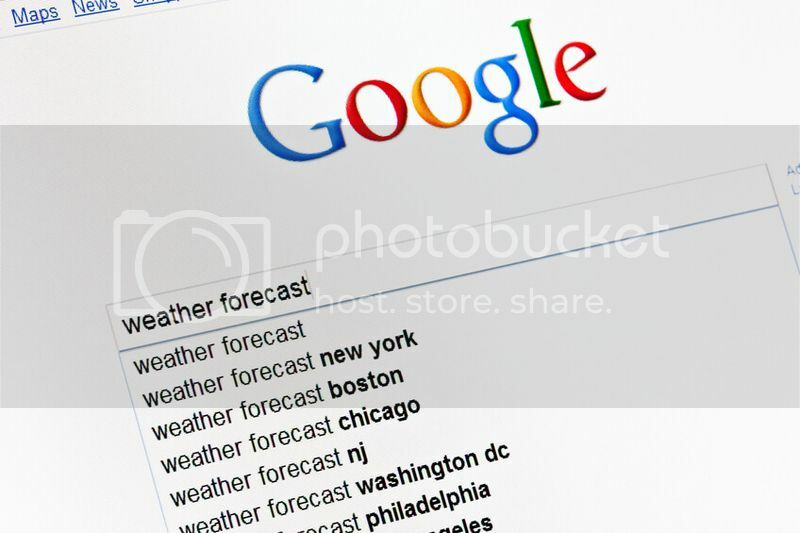 Google mines the data it collects from users for two purposes. One is to improve the user experience, making its various online services more personal, useful and rewarding for the individual—and thereby increasing their popularity. The other purpose is to provide better targeted information for advertisers. That is fine for the vast majority of internet users, who are happy to trade a measure of privacy for the convenience. However, most people (though not all) stop short of blurting out more intimate details about their private lives. Even so, all those innocuous bits of self-revelation can be pieced together, jig-saw fashion, by intelligent algorithms. Throw in the digital paper-trails stashed in Google searches and Amazon purchases, and things can begin to get a little scary. The above is a foregone conclusion - we all are ignoring the looming fear of privacy invasion for the convenience that online services give us. In fact, after much brouhaha about the US NSA snooping over a vast majority of the world (incl. politicians in other countries), not much seems to have changed in the world perception given how social media platforms (hosted in US data centers and subject to US laws) have snowballed into world's largest corporations. However, another concern is now coming up which is not so much about someone knowing about the underwear brand I wear (which wouldn't really be very devastating), but about me NOT knowing what I don't know. One of the foundational principles of democracy - which underpins other more explicit principles like freedom of speech or freedom of practising one's religion - is the freedom and the right to have access to unfettered information. One of the reasons North Korea and even China are castigated by proponents freedom is because of the conditions imposed by these regimes on the flow of information to their citizens. Recent studies have shown that excessive personalization of say our Facebook feeds or WhatsApp Group based news which we receive, makes us as blind to other perspectives as may be people of a restrictive or oppressed regime. No wonder that religious preachers, right wing activists and even divisive religion based military group like the ISIS find Social Media a good source of recruiting volunteers! "The institution of paid search raises barriers to entry for firms that do not have the required marketing budgets and that apart from paid search which is quite evidently non-neutral, the paradigm of neutral search itself is being questioned as anti-competition"
"the use of personalization rules in serving search returns implies that we get to see what the search engine thinks we would like based on surfing information it has gathered about any people, rather than some ‘objective’ listing"
The Internet is entering every sphere of our lives - from 'where to buy a house' to 'which route to take for the morning commute to office. If personalised technology makes us take biased decisions, it may be impacting our whole life! Further, it may be preventing us from benefits of serendipity by forcing us to take the beaten path, dumbing us down or killing that chance we have to be more creative! Internet penetration is increasing at an exponential pace and hence more people are being subjected to decision making assisted or influenced by Social Media. Whether it is about the route on your daily commute or who should be your President or Prime Minister; all of us are being subjected to filter bubbles while contributing to these decisions. The ubiquity of internet means that we are at a greater risk of making a collective mistake in making decisions! In the last few years, as the propensity of political leaders to take tough decisions has reduced and the trend of referendums has gained traction. The United Kingdom (who's Westminster model is a template for democracy in several countries), has witnessed two referendums in recent past - one on Scotland remaining a part of the UK and another on UK leaving the EU. As technology - electronic voting et. al. - makes it easier to conduct elections; direct democracy might become the norm. Some low population countries like Switzerland are already making the switch. This makes over personalised social media even scarier as biases may influence specific political decisions not just personal decision or choice of leader. In a world where we are heading towards making some very crucial decisions regarding climate change or future of robotics or spacefaring - combined with point #3, biases influenced by narrow social media networks and incomprehensibly tested personalization algorithms (technology), we might just take a wrong decision which may have far reaching impact on future generations and the very existence of mankind! It is high time philosophers, futurists, technologists, activists, politicians and even common people started exploring the dangers of personalized Social Media and devised ways to counter it! Copyright 2009 Nikhil Kulkarni's Blog . All rights reserved.